The go-to guide for using the most popular kitchen appliance—the slow cooker—to prepare healthy vegetarian dishes, featuring more than 150 easy plant-based and vegan-friendly dishes sure to please everyone at the dinner table. A vegetarian diet is healthy, nutritious, and environmentally friendly. 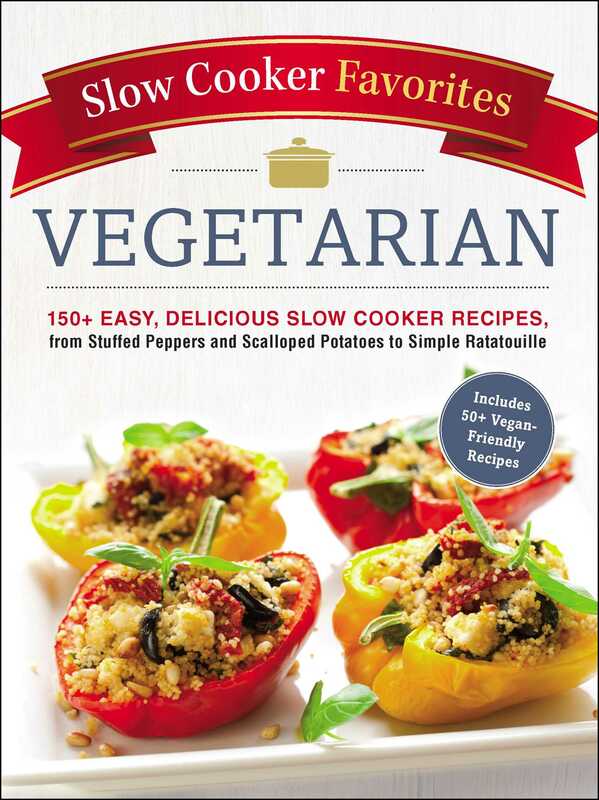 Slow Cooker Favorites Vegetarian makes plant-based eating even easier with more than 150 vegetarian recipes, including more than fifty vegan-friendly recipes, for your slow cooker. Whether you’re a dedicated vegetarian, vegan, or omnivore looking to have more meatless meals, you’ll be sure to find many new and delicious recipes that will become family favorites. With minimal prep work and easy clean up, the hardest part is picking which mouthwatering dish to try next!